Design 3 stack rack - portable for warehouse storage. Select 2,000 or 4,000 lbs. capacity. Design 3 stack rack - rugged design prevents product damage. Design 3 stack rack - utilize vertical storage space. Design 3 stack rack - cut handling time. Move more material with fewer moves. Design 3 stack rack - safe positive stacking up to 5 high. 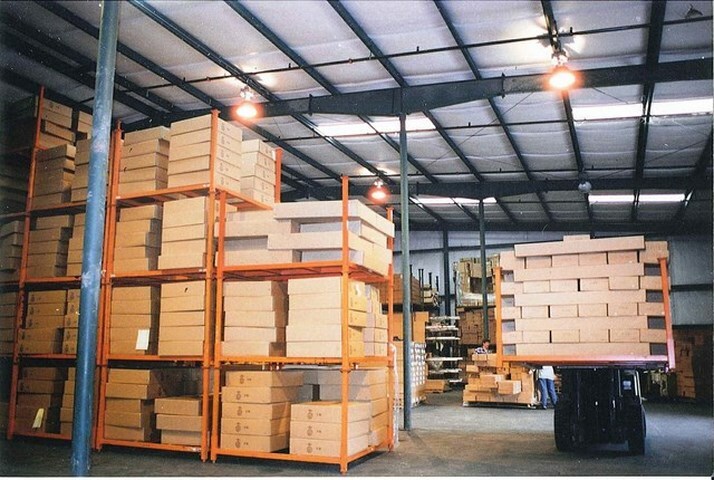 For storing or transport, these long-wearing stack racks save warehouse space and time. Utilize vertical storage space by safely stacking these racks up to 5 high. Forklift portable for easy handling of loads up to 4,000 lbs. Side and end frames are available to prevent load shifting. Rugged construction features stand up to heavy industrial requirements.